Interior, kitchen and bath design project in Brooklyn. 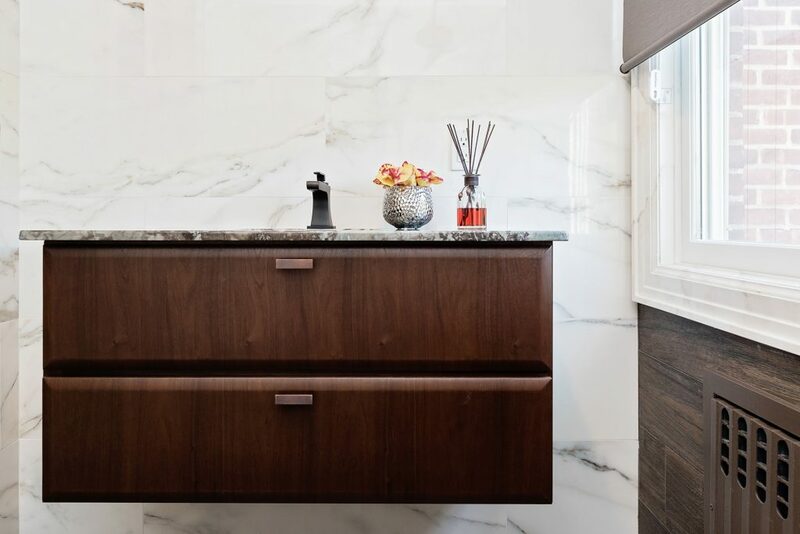 This Floating vanity is made of Walnut Wood. We used marble for the counter-top.